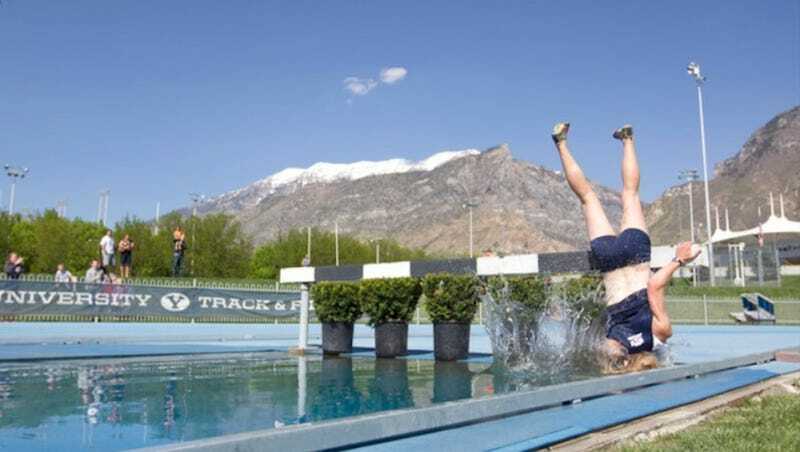 BYU senior Katy Andrews did us all a favor when she humbly uploaded that hilarious video of her grand crash into the water jump during a weekend steeplechase event. And now that the Salt Lake Tribune has broken the entire episode down in HD, image by image, it's obvious that, just after it happened, Andrews might have been laughing harder than anybody. Good for her.